Titan outcanal gouges x 3. one has paint from school set on handle. Titan outcanal gouges x 2. one has paint from school set on handle. 2 x Bergs Blue label chisels, 3/8” & 1”. 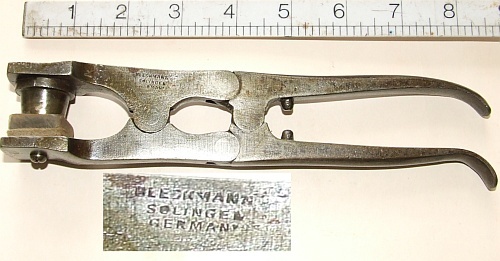 Label on the smaller one is missing, but it’s remains can be seen.Click on image for a larger one to see detail. Carter Australia No.7 Jointer Plane, vintage Australian made tool. Note it is a No 7, not C7. rear tote is intact, decal is rather worn. Carter No.C6 Plane, vintage Australian made tool. handle is intact, but no decal remains. Vintage Stanley No.4 Hand Plane. Made in Australia. Original Box. Early example with wooden totes, very good condition. Marples M40 Shamrock Brand grooving plane with 3 cutters, looks to have had v little use. Comes in original box. 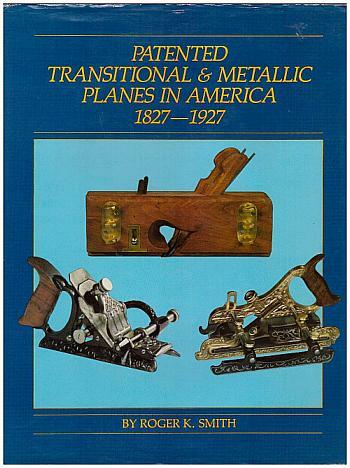 Patented Transional & Metalic Planes America 1827-1927 Roger Smith. Good used condition. No scribble. Has neat owner stamp on outer fly leaf.